Each generation has their defining inventions. Over the last 20 years, the Internet easily qualifies as this country’s most valuable and stunning success story. But, like most inventions, the Internet has grown far beyond what the early pioneers could have ever imagined it becoming— a limitless tool for business, communications, education, entertainment, and so much more. We have witnessed the tremendous growth of the Internet to the point that it touches nearly every aspect of economic activity inside the United States and much of the world. As such, what responsibility does government have to ensure that it remains a positive force for generations to come? I believe an important one, and that is why I publically called the FCC to delay the Net Neutrality vote earlier this month. 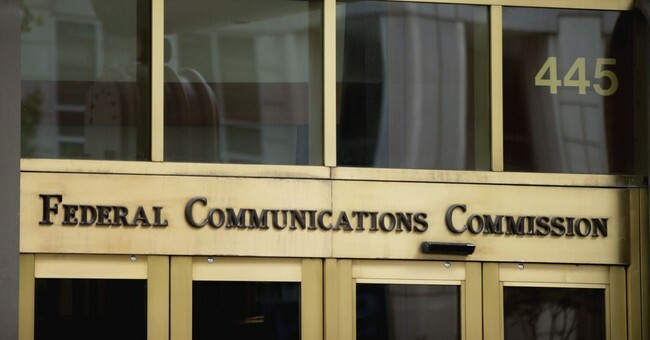 Unfortunately, over the past 15 years, the Federal Communications Commission (FCC) has swung at least four times between differing rules governing broadband service that have left both businesses and consumers confused. Just recently, on December 14th, the FCC repealed the “Open Internet” order that was instituted just two years ago, also referred to as ‘net neutrality’. As in any other sector of our economy, frequent regulatory fluctuations are not good for Internet providers nor for those who rely on network access for both business and personal purposes. It is my view, that light-touch regulations are necessary so that Internet Service Providers, content creators and consumers have the regulatory certainty they deserve so they can succeed—and that should originate in Congress. With the FCC’s action, I believe that Congress now has a responsibility to provide clarity in this area so that the market can rely on transparent and consistent rules. I appreciate my constituents who have expressed their concerns over this issue through my last tele-town hall meeting and in-person meetings. After learning more about this complex issue, I have decided that it’s important to bring clarity to it so that the American people and businesses of all sizes have confidence in their future with the internet. As your Representative, I believe a decision of this magnitude, which will affect virtually everyone who uses the Internet, should be made by the People’s representatives in Congress—not by unelected bureaucrats in Washington D.C. This week, I began drafting legislation that would uphold the broad principles of an open Internet and ensure effective oversight of broadband Internet service. While I understand this is a complex issue that will take time and careful deliberation, it is also one of great importance to every American, every small business, and even more so, to the success of future innovations in the coming years. I want to thank everyone who has sent me an email, tweet, phone call, have met with me or mailed me letters on the issue. I want you to know that as your representative in Washington, it is my job to see that your concerns are addressed and I want you to know that I am always listening. The right to petition the government for a redress of grievances can only be effective if the people’s representatives, those whom you elect to Congress, not unelected bureaucrats, are able to reflect the will of the people. While the conversation on this subject has just started, rest assured I will continue the fight to keep the Internet free, fair and open to all.